Shamrock Fighting Championships continues to make inroads into St. Charles County. SFC President Jesse Finney announced Tuesday morning that Shamrock FC had signed an exclusive, long-term contract with the Family Arena to put on mixed martial arts shows at the 10,000-plus seat venue. The attraction to the Family Arena for SFC was simple. "Putting on all-ages shows was a big motivator," Finney said. "We are going to work with other organizations out of Shamrock to put on bigger shows with cheaper ticket prices. 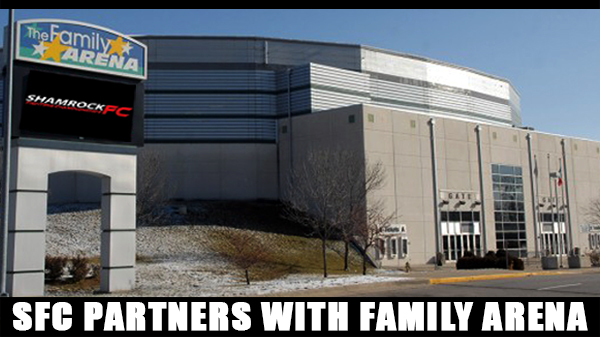 The Family Arena stepped up to the plate. This deal has been in the works for a long time." There is a chance SFC could make its Family Arena debut in December. For certain, the St. Louis organization will have its debut show by the end of the first quarter in 2018. SFC has two big shows slated for the end of the year. In December, the organization will put on its 300th show at the River City. In January, the SFC debut at St. Charles' Ameristar Casino is scheduled. SFC will continue to use Lumiere Casino as its home base for its boxing and kickboxing cards with a minimum of six MMA shows spread between the River City Casino, Ameristar and now the Family Arena. The organization will continue to put on shows at Kansas City's Ameristar Casino. The Family Arena was the long-time host to Fight Hard MMA. Fight Hard had a long history at the venue but has only put on a couple of events over the last two years. The two promotions, SFC and Fight Hard, went to court in 2016 over Fight Hard MMA's use and promotion of two professional fighters under contract with Shamrock Fighting Promotions. A St. Louis County Judge granted Shamrock Promotions, LLC's Motion for Temporary Restraining prohibiting Kyle Kurtz and Max McNeely from fighting on Fight Hard MMA's fight card at the Family Arena on Saturday, Sept. 17 2016. Shamrock Promotions was founded in 1998. 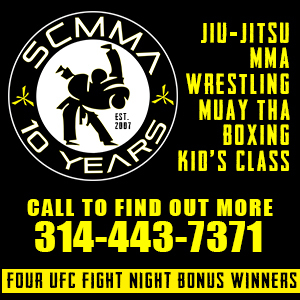 In 2011, Shamrock Promotions founded Shamrock Fighting Championships. Since 2012 Shamrock FC has put on 18 events a year between the three casinos with a mix of MMA, boxing, and kickboxing.